On the heels of Dr. Siri Gamage’s critique come two, not just the one response, by Prof. Laksiri Fernando and Sarath de Alwis. All three authors, Siri Gamage, Laksiri Fernando and Sarath de Alwis (as well as the two young academics quoted by de Alwis) have something strikingly in common. None of them felt sufficiently motivated (I exempt the younger academics because of their ages) to write a piece in their own names against Wijeweera’s terror campaign which consumed the best of the Left in the 1980s. I did, and more besides, in the ideological, political and strategic policy domains. Not one of them has felt sufficiently motivated to write a full length piece under their names (I am unaware of any pseudonymous pieces) against the LTTE during the war, when the suicide bombers and assassins were wreaking carnage, still less a piece in urging the military defeat of the LTTE and/or in support of the Sri Lankan State and its armed forces, during the conflict – and especially the crucial last war. Nor have any of these writers produced a full length piece opposing the Western diplomatic efforts to stop the war at the crucial stage or to interfere in Sri Lanka’s internal affairs on the hypocritical grounds of war crimes. le not having done any of this at a time of great moral and historical challenge for their country and existential threat to it, these authors have been liberal in their critique of the Sri Lankan State, Sinhala nationalism, Mahinda Rajapaksa and of course, me. To put it less diplomatically, these critics have crawled out of whatever comfortable hole they were hiding in during the decades of the civil wars, and have taken to attacking Mahinda Rajapaksa, whose lasting historic merits as a national liberator, re-unifier, victor over fascist separatism and bringer of peace and normalcy, i.e. as a great leader, outweigh by far, the de-merits of his strategic, tactical and policy errors in the postwar period. None of this is accidental or purely coincidental. Obviously this clutch of cowardly cosmopolitan critics has different priorities, values, and self-images than I do. I cannot respect theirs because I agree with the American colloquialism that “you are only as big as what makes you mad”. I got mad at one of the worst terrorist movements the twentieth century had seen, led by a man whom John F Burns, the Pulitzer Prize winning journalist of the New York Times described as “the Pol Pot of South Asia”. In his ‘The New Terrorism’ ( 1999) Emeritus Professor Walter Laqueur, editor of the Penguin/Pelican handbook on Fascism, wrote that in terms of its “ruthlessness and fanaticism” the only parallel he had encountered for the LTTE were the “European fascist movements of the 1920s and 30s”. I get mad at countries which do not pay compensation for dropping Agent Orange on the Vietnamese countryside and which used depleted Uranium in the Gulf War, lecture my country, Sri Lanka, on human rights. I get mad at those who adopted scorched earth policies in the Uva and took almost forty years to conclude investigations into Bloody Sunday in Londonderry (without punishing a single uniformed perpetrator) give us deadlines to produce outcomes on accountability. I try to do something about such hypocrisy when I can, such as at the UN Human Rights Council in Geneva in 2007-2009. When those who said and did nothing on such matters take up cudgels against Ranasinghe Premadasa, Mahinda Rajapaksa or me – for my defence of them—I smell moral and intellectual cowardice. Premadasa and Rajapaksa were and are soft targets in comparison with the LTTE and imperialism. I do not prioritize soft targets, militarily, politically, intellectually or otherwise. Only cowards do. I prefer to take on hard targets. Laksiri Fernando attributes my priority for the state over governance solely to Carl Schmitt, who is only one of my sources of intellectual inspiration. He disappoints me greatly. As a political scientist he should be well aware of the great tradition of Realism in Political Thought and History, ranging from Kautilya and Thucydides through Machiavelli to Lenin, which placed precisely the problems of power and the State above governance and rights, as objects of theory and strategy. Were they all fascists and Nazis? How stupid can one get? Fernando should also know that the emphasis on patriotism and the revival of nationalism arises within the most internationalist projects, based on the objective strategic situation in which they find themselves. Did the Bolsheviks ever think they would invoke the slogan of the defense of the Socialist Fatherland as they did in 1919, when the fledgling revolutionary state was under siege? 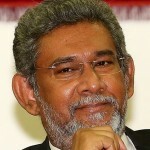 Does Laksiri Fernando forget that the tradition he belonged to, that of Trotskyism—yes, Fernando, Gamage and de Alwis, all were Trotskyists at one time—raucously accused Stalin of resorting to Great Russian Chauvinism when he allied with the Russian Orthodox Church and raised the mobilizing slogan of a Great Patriotic War against the Nazis? I am pleased to be in such company. After all in a country in which the main trend on the Left was that of Trotskyism in its various shapes and forms, I opted from my teens, for the other tradition with its strong defense of Stalin and Mao, as Laksiri would very well recall. If his memory has not lapsed, he would also remember that the tendencies he belonged to excoriated Fidel, Che, the Cuban revolutionaries, the Nicaraguan Sandinistas and the Latin American revolutionary current taken as a whole – which I strongly supported, then as now– as ‘nationalists’. Laksiri Fernando touches on my profession of faith as a Catholic to make a point that I have admitted to not being a Buddhist. Well, he knows the maternal branch of my family in Moratuwa well enough to know where I am coming from. As the grandson of a prominent Buddhist proselytizer from Panadura, I admire the essentials of the Dhamma as such, i.e. as a philosophy, which is how my grandfather taught it to me. My respect for Buddhism as a philosophy—and it is one of the many philosophies I respect and draw from– in no way contradicts my Catholic faith. The two are hardly contradictory and are quite compatible as the Jesuit theologian Prof Aloysius Pieris has often observed. It is precisely the Buddhism I learned from my grandfather that makes me look for the chain-like relationship of Cause and Effect, and led me to the quote from Ponnambalam Arunchalam which exposes the founding of the expansionist, unprovoked Tamil Zionist project. Sinhala nationalism was an effect, a defensive reaction, not the/a cause. This holds true to this very day, as we have seen from the despicable and dangerous Genocide Resolution and its handing over to the UN’s Jeffrey Feltman by Chief Minister Wigeswaran. This act should have caused the dissolution of the Northern Provincial Council –while retaining, not abrogating the 13th amendment. It is not surprising that Laksiri Fernando, Siri Gamage, Sarath de Alwis, Romesh Hettiarachchi et al have not written articles attacking that resolution or its authors! 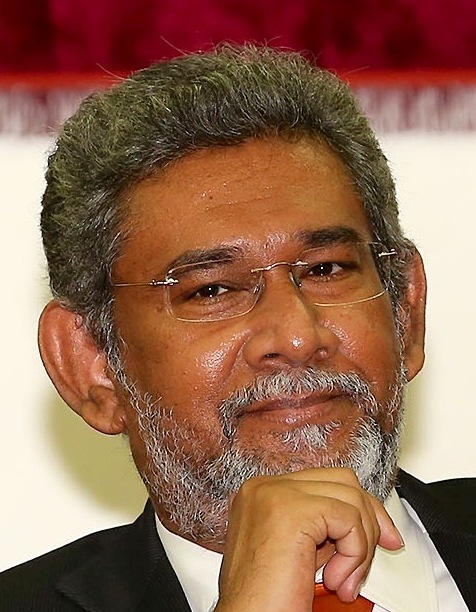 Matters are slightly more pathetic when it comes to Sarath de Alwis. He expends much powder and shot quoting from the young academic Asanga Welikela. De Alwis’ effort is a fiasco, because Welikela deals with a Ministerial memorandum of 1944, while I have traced the roots of Tamil racism back (at least) to 1922. Research material pertaining to 1944 cannot overturn the status of a founding moment or ‘thesis’ which dates back to the inauguration of a Tamil political project by a highly reputed Tamil political personality, over two decades earlier (and published in the issue of Torch in 1922). Does Arunachalam’s discourse sound like a pre-emptive call for justice, equality of treatment as individual citizens and guaranteed rights for a “national minority” which is how Mr de Alwis’s “ revered editor” (and my late father) Mervyn de Silva refers to the Tamils in the text that Sarath de Alwis so reverently cites? Hardly! What are the “higher aims” and “precious ideals” that Arunachalam’s clarion call sets out: that of a united Ceylon or humanity perhaps? No, it is those of “the union and solidarity of Tamilakam, the Tamil Land”. Is this not mono-ethnic nationalism, well before Independence or its eve/horizon (1944)? How is the Tamilakam or Tamil Land defined? Where pray, is the “Tamil Land” and what is it? It is quite clearly a combination of Ceylon (or parts of it), Southern India and the Tamil colonies (whatever those were) and the Federated Malay States. Is this not a combination of irredentism and expansionism? Is this not a vision of a Greater Tamil Eelam? When Ponnambalam Arunachalam talks of “what we have been proud to call Tamil Eelam” does it not mean that the term has been around even before? And given his explicit geographic description is it not clear that this is certainly NOT a mere synonym for the Tamil speaking areas of Ceylon and within a united Ceylon? If so, where then would Southern India, and the Tamil colonies (not to mention the Federated Malay States) come into it? If this is not an existential threat to Sri Lanka as a country, a state and the Sinhalese as the vast majority of its inhabitants, what on earth would constitute an existential threat? When Arunachalam says “we” should keep alive and propagate these ideals throughout Ceylon, is this not precisely what “we” have done? If so, is it Mahinda Rajapaksa, the Nugegoda speakers or I who should be attacked for propagating notions of “we” and “they”? Are we not merely patriotic Realists who are responding defensively to an aggressive, expansionist and explicitly cross-border ideology and project?